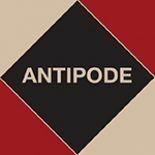 Forthcoming in early 2019 in the first issue of our 50th anniversary volume, Antipode 51(1), and available online now, “A Chronotope of Containment Development: Europe’s Migrant Crisis and Africa’s Reterritorialization” by Loren Landau (University of the Witwatersrand) is another superb contribution to urgent conversations ongoing in the journal on European migration. Europe has taken unprecedented levels of peacetime defensive actions against the perceived demands by African migrants for “absolute hospitality”. In collaboration with politicians across the Mediterranean, European political leaders are authoring a chronotope that removes Africa and Africans from global time. This discursive vision rests on an epistemological reorientation coding all Africans as potential migrants capable of threatening European and African sovereignty and security. This conceptual realignment has seeded a defensive assemblage of coercive controls, sociologies of knowledge, and a campaign to generate sedentary African subjects. Ultimately it is engendering “containment development” aimed at geographically localising Africans’ desires and imaginations. In an era of planetary entanglement and exchange, this discursively and materially excludes Africans from what it means to be fully human. As well as reading his paper online, you can hear Loren discussing it below, and read all about his wider work at his African Centre for Migration & Society website. This entry was posted on 3 October 2018 by Antipode Editorial Office in Video Abstracts and tagged Africa, African migrants, border externalization, chronotope, Europe, hospitality, migration, reterritorialisation, security, sovereignty, temporalities, temporality, the EU, the Mediterranean.